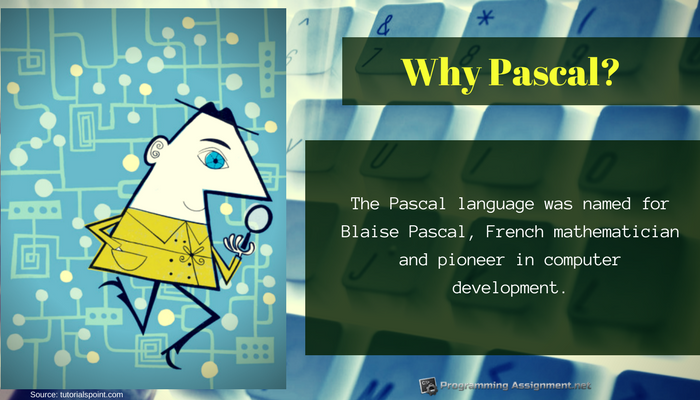 Homework assignments in Pascal – Our programmers can provide assistance and help you arrive at solutions to Pascal programming problems. Personal tutoring – Individual Pascal programming language tutorial sessions can be arranged for those who feel like they need more intensive programming help. Personal tutoring is customized to the individual student based on their programming level and experience. Tutoring sessions are scheduled based on your available time, to meet your needs. Our programmers and tutors are extremely well qualified to provide assistance with any aspect of Pascal programming. When you need programming help of any kind, including Pascal programming help, we are always ready to lend you a hand!